For starters, enter a community and search for a person's name. If they're a member, they will pop up. This is because Google+ now lets you search through the members of a community. On a completely separate note, this update also lets you select multiple photos in the file picker window and upload them to a single post at once. 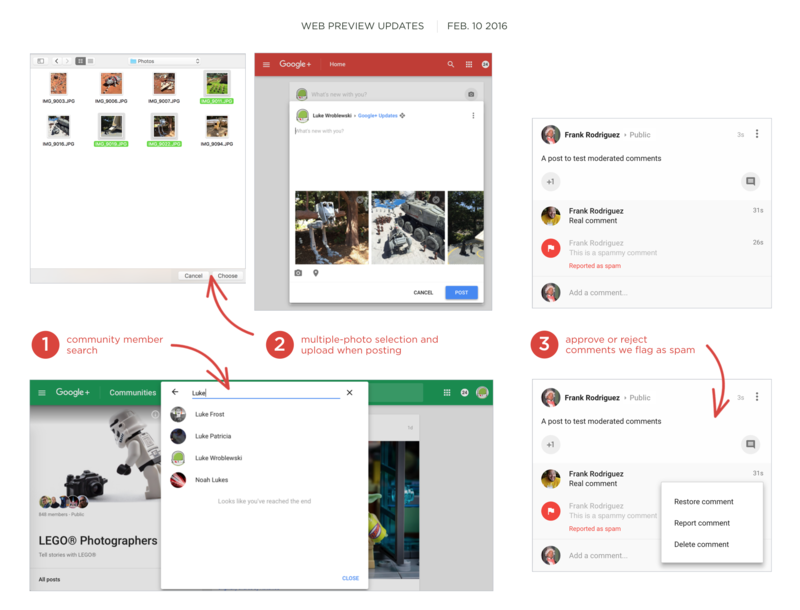 This is the kind of change that I imagine makes it easier to post these Google+ changelogs. The latest update also lets you approve or reject comments that Google+ suspects of being spam. Your input is needed here, since you may actually just have particularly spammy friends. To reiterate, this is the Google+ that appears in a desktop browser, not the mobile app that recently started notifying you of missed posts.